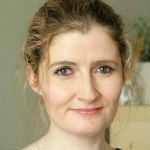 Joanna Fortune is a Clinical Psychotherapist and Child Attachment Specialist with over 15 years experience working with children and families. She founded Solamh Parent-Child Relationship Clinic Dublin, Ireland in 2010 – prior to which she worked in the NGO sector specialising in a range of challenging and trauma based issues. She spent over 3 years working in orphanages in Russia with children of all ages who are growing up in institutions and developed a variety of programs of de-institutionalisation, life skills and psychological resilience building while there. As a clinician, mentor and well established training consultant and guest speaker in her field, Fortune is also a regular contributor in the media on issues of child development and parenting. She is often told that she possess the ability to think like a 5 year old and she embodies this attitude in her approach to her work. You can read about her clinical work on www.solamh.com or on her parenting blog site www.joannafortune.